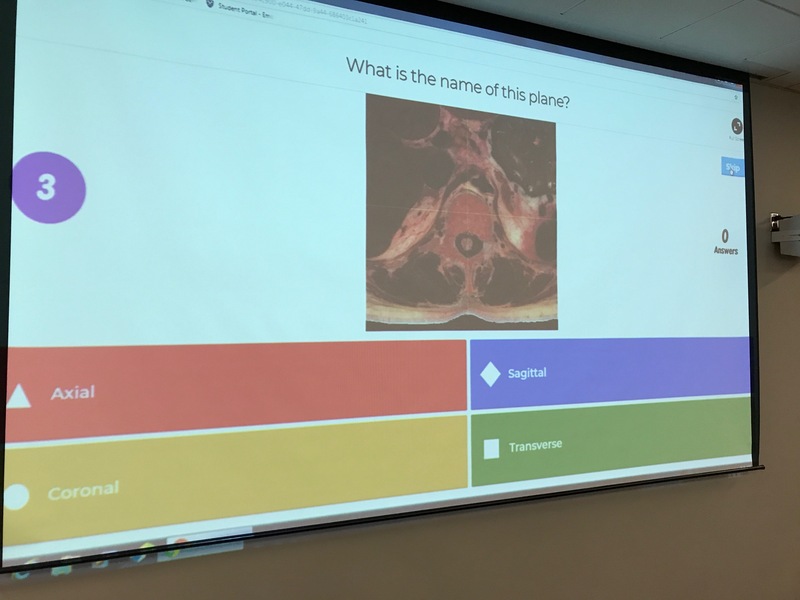 #tiggesanatomy We start class with a Kahoot! quiz to guilt students into doing the prep work. If you want to learn how to use Kahoot!, go to “Learning to be Better Teachers” page of xraycomix.com. Previous Previous post: #tiggesanatomy When students arrive, they grab a real vertebra or a 3D printed vertebra to help them with the cross sectional images. Next Next post: #tiggesanatomy Then I draw (badly) a vertebra, making sure that the students draw along with me. Having them draw helps them retain the information better.